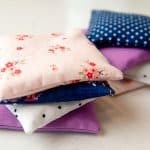 These DIY Hand Warmers are a great beginner sewing project. The use of the Cricut Maker and it’s rotary blade make this project even easier! A few weeks ago my kids came in from playing in the snow and their hands were cold and they were fighting over the single rice bag that we had. So, I decided to make a batch of smaller hand warmers to have around, for when they come in from playing in the snow. 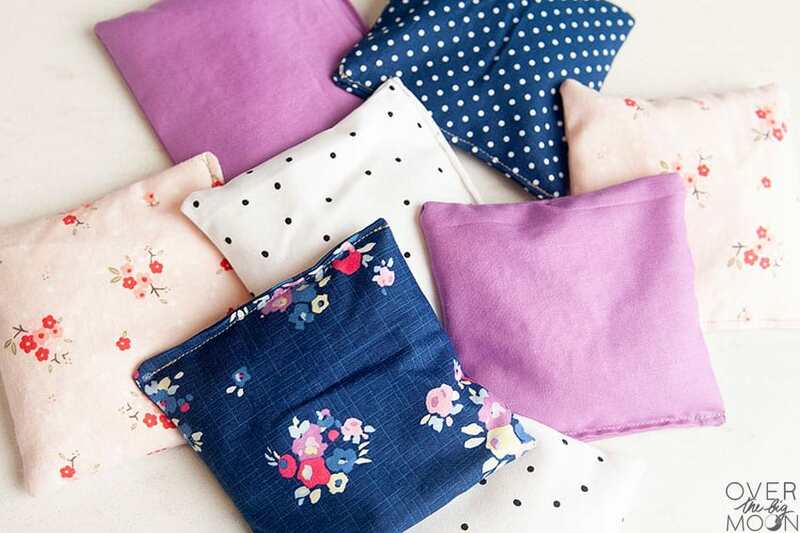 Open the 5″ Square Hand Warmer Design Space File! 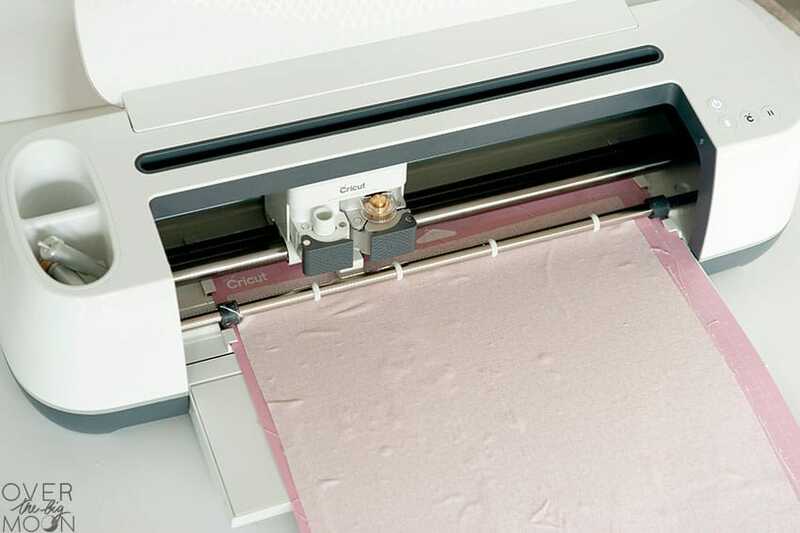 Cricut offers both a 12×12 and 12×24 Fabric Mat – the pink mats are the fabric mats! 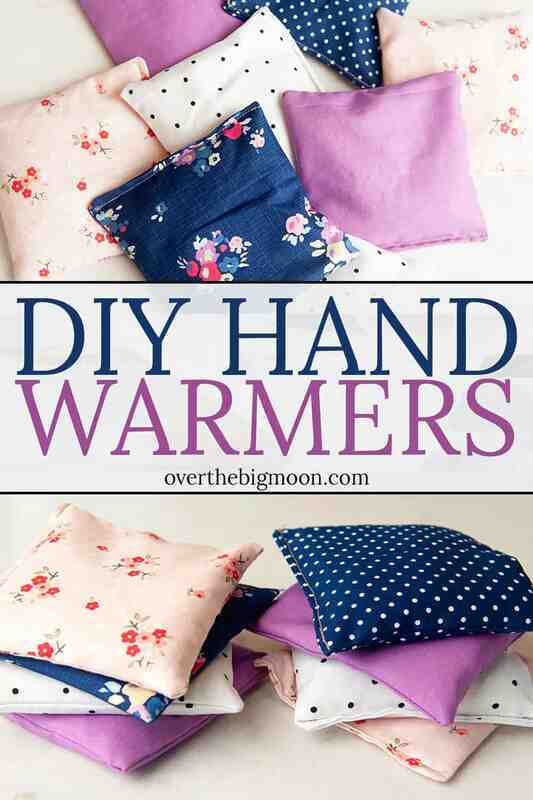 If you’re only going to make two of the hand warmers, then you’ll only need a 12×12 fabric mat. 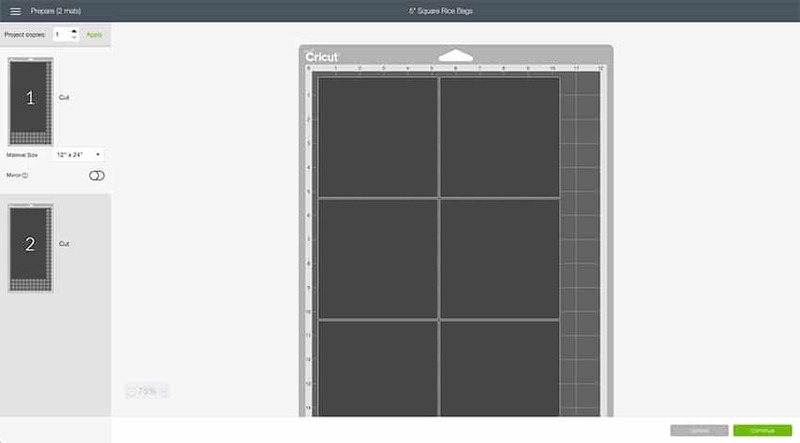 But, to save time and make it easier, I suggest cutting on a 12×24 mat. 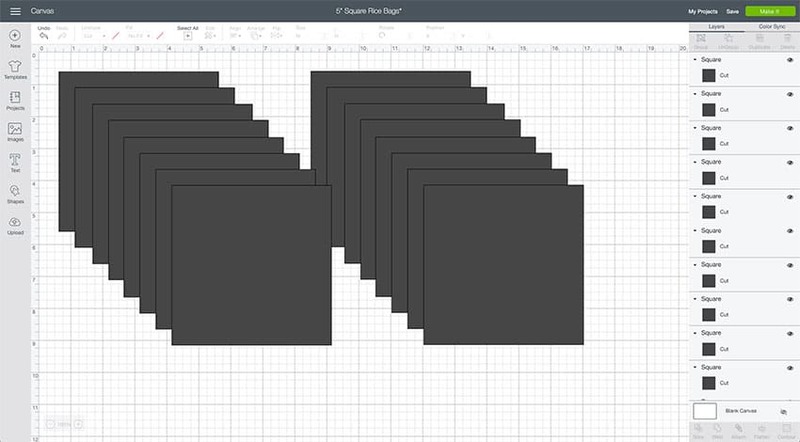 Below you’ll see a screenshot of how the hand warmers lay out on both a 12×12 and a 12×24 mat. As you can see, you only have to prep 2 mats if you use a 12×24 mat! That’s why I love using the bigger mats, less prep time! However, in this instance, I was only making 2 hand warmers per fabric. 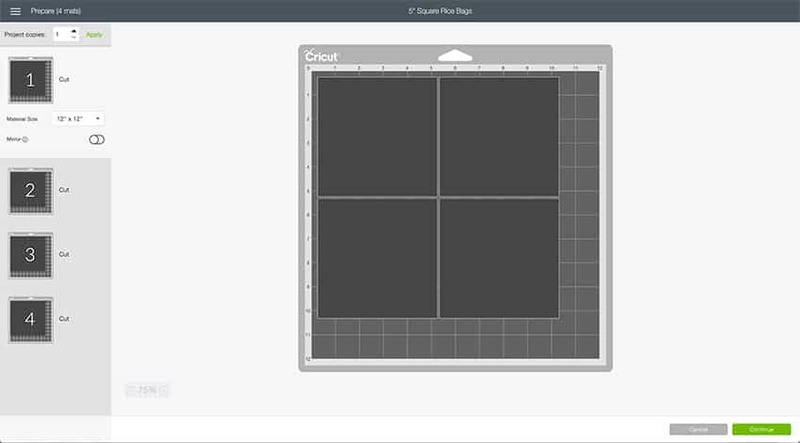 So, I did opt to use the 12×12 Fabric Mat. 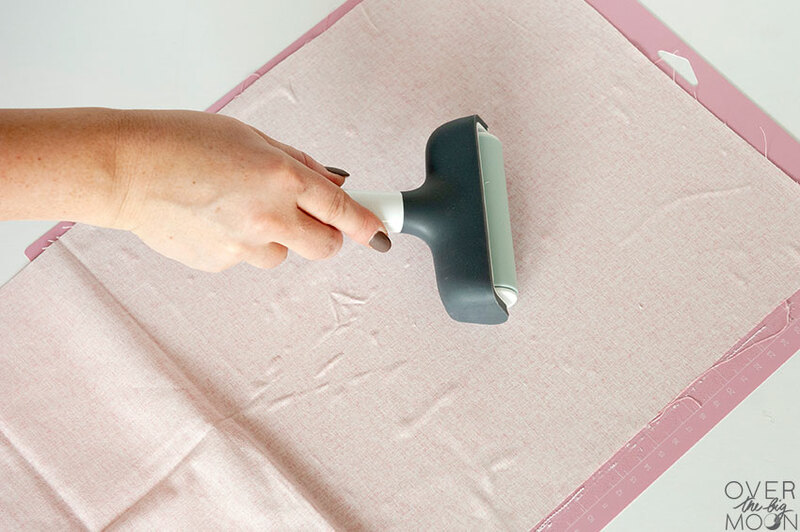 Once you’ve previewed and prepped your mats, then go ahead and hit ‘CONTINUE.’ I love applying the fabric onto the fabric mats using the Cricut Brayer. It really helps make sure that the fabric sticks to the mat and helps it go on smoother. 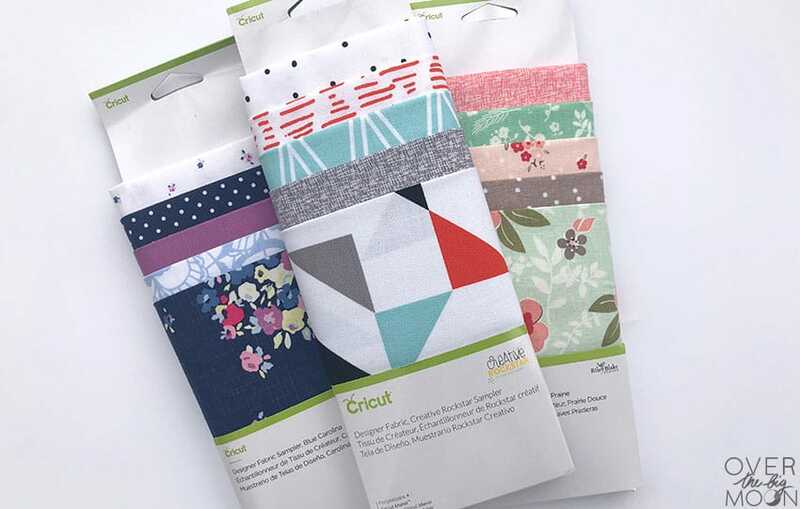 Also, make sure to check out all the Designer Collection that Cricut offers! 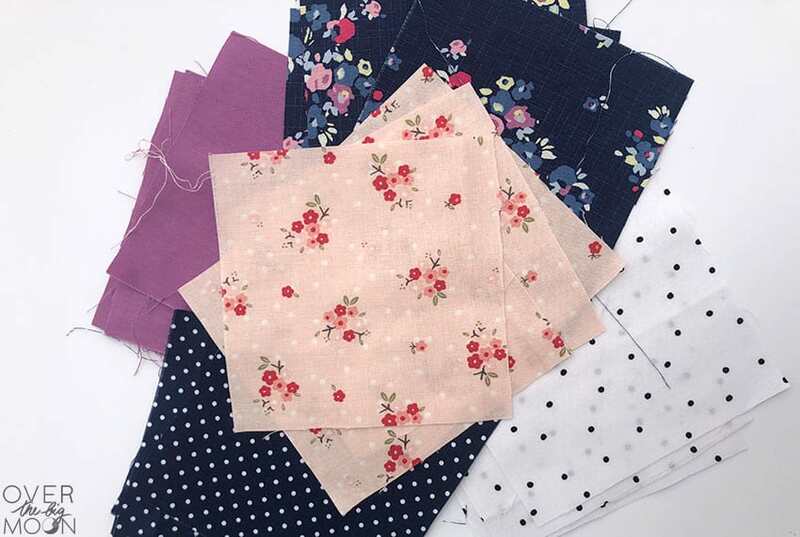 I love the designs so much and I love that there are several fabrics that coordinate perfectly together. 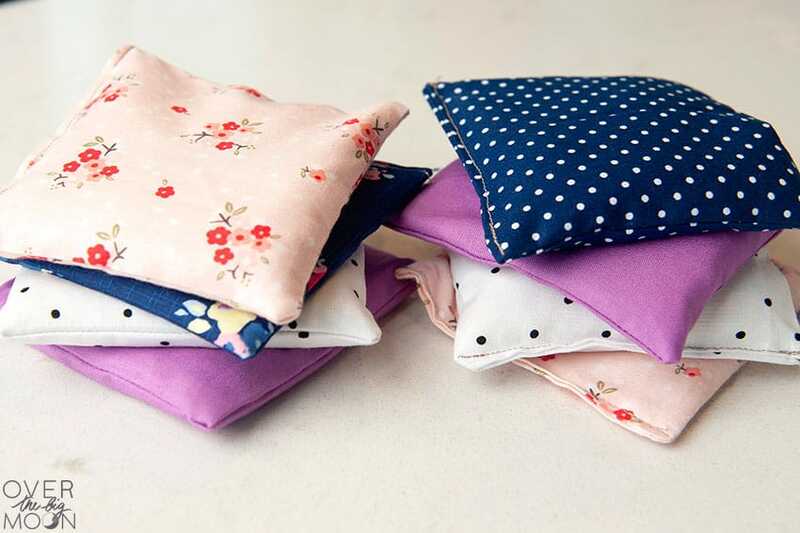 For the hand warmers, I grabbed fabrics from a few collections! When applying the fabric to your mats, don’t stress about small little wrinkles. They won’t make a difference when the Cricut Maker is cutting. After all the cuts are made, then go ahead and remove the fabric from the mats. Then put 2 pieces of the fabric wrong side together and sew 3 of the 4 sides together using 1/4″ seam. You are welcome to pin the edges if you want, but I opted not to for this. 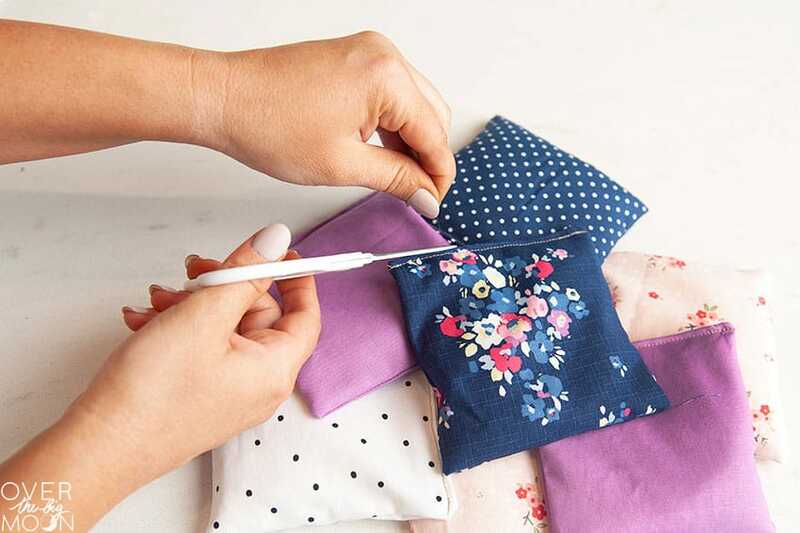 Make sure to back stitch on the start and finish of your stitch. 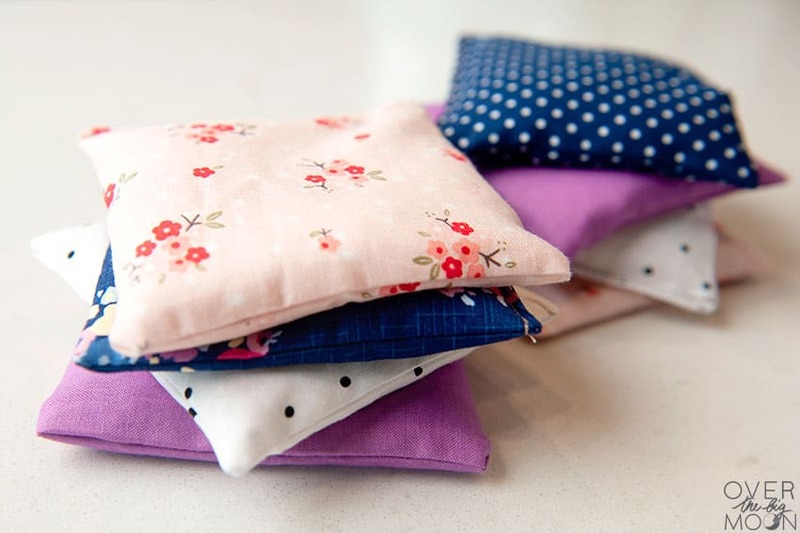 Prior to turning the hand warmer right side out, cut the corners of the square at an angle to remove the excess fabric. This will help you get sharp squared corners. Then you’ll go ahead and fill your hand warmer about 60% full with long grain rice. I find it easiest using a funnel. After they’re all full I do a simple line stitch to close the bag. If you’re a perfectionist, feel free to fold it in and hand stitch it. 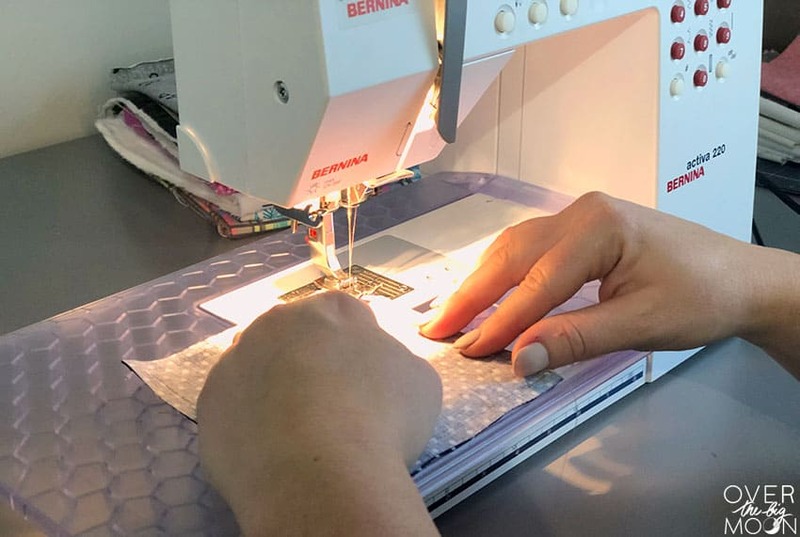 You’re also welcome when sewing the two pieces wrong side together, to continue that first stitch 1/2 through that 4th side. But, I liked the look of having the whole 4 side sewed shut the way I did it. Then take some small scissors and trim in strings from the bags. And that’s it! To heat them, put them in the microwave for 60-90 seconds. I usually open the microwave 1/2 way through and turn it over! 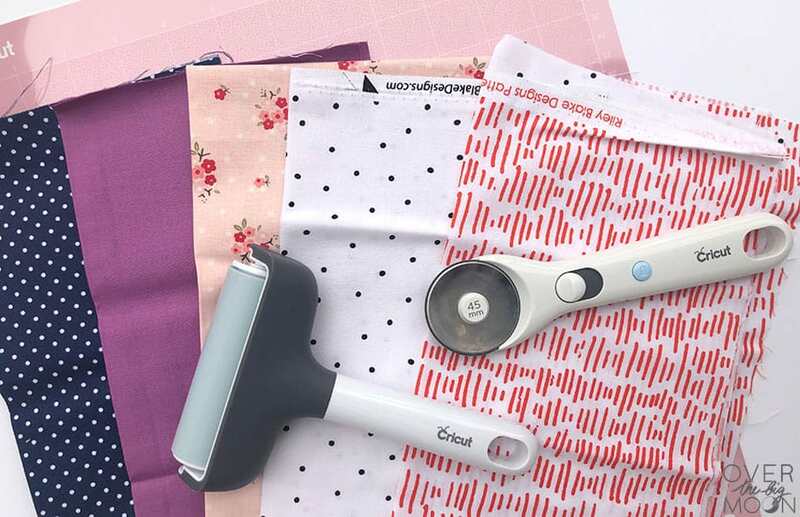 If you’re looking for some more fun sewing projects you can make with the Cricut, check these out! If you loved this post, then I’d love it if you pinned the below image! Thanks!